The College of Business Undergraduate Advising and Student Resources Office is the advising office for all lower-division business students. If you're enrolled in the upper-division finance program (i.e., taking 300- and 400-level finance courses) or a finance graduate program, your advisor is located in the Department of Finance. Please call 815-753-1114 or stop by the Department of Finance (Barsema Hall 236) for information about office hours. Appointments are available upon request. Meet with your advisor each semester and bring your Academic Requirements Report. Take care of all encumbrances prior to registration. Declare your major as early as possible in the upper division. Keep all advising paperwork (including each Academic Requirements Report). Apply for graduation and watch for deadlines! Check your financial aid status each semester, if applicable. Declare your major early while in business principles courses. Declared majors have first priority in course registration. Changing your major at the end of a semester (after registration has begun) may prevent you from getting your courses and graduating on time. Meet with the upper-division finance advisor. As you begin business principles and other upper-division business courses, your advising office will change from Undergraduate Advising and Student Resources to the Department of Finance. The upper-division finance advisor is Christy Cunningham. 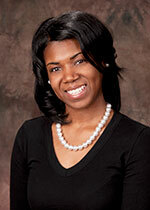 Christy's office is located in Barsema Hall 236A, and she can be contacted at 815-753-1115 or ccunningham@niu.edu. Gain finance-related experience through internships. Register on Huskies Get Hired, NIU's online job search database. Complete your profile, upload your resume and explore the site. Get involved and join the Financial Management Association (FMA). Apply for departmental scholarships. Applications are available in the Department of Finance at the beginning of each spring semester. You may also want to check the Financial Aid and Scholarship Office. Review your Academic Requirements Report each semester. Remember that you are responsible for your graduation requirements. If you find a discrepancy on your report, contact Registration and Records and your advisor as soon as possible. Update your Huskies Get Hired account. You'll be using Huskies Get Hired for your full-time job search soon. Be sure to keep your profile and resume up to date! Apply for graduation, pay the $29 graduation fee and watch for deadlines. You must have at least 90 total semester hours to apply for graduation, and your $29 graduation fee is due when you apply. Review your Academic Requirements Report each semester. After registering for your last semester, wait at least 24 hours and then run your report again. Once you have all requirements completed or in progress, you will see the statement "All requirements completed - in progress courses used" toward the top of your report. Remember that you are responsible for your graduation requirements. Registration and Records generates the Academic Requirements Report. Registration and Records also runs a final check on your requirements for graduation. If you find any discrepancies, be sure to contact Registration and Records or your academic advisor as soon as possible. Use Huskies Get Hired and take advantage of campus recruiting. To do so, you must attend an orientation session led by Career Services. These sessions are only held during the first few weeks of the semester - don't miss out! Participate in an Exit Interview for Federal Perkins Loan or Federal Stafford Loan, if needed. If you previously received a Federal Perkins Loan or Federal Stafford Loan, you're required to have an exit interview before you leave school. Read all mail and meet all commencement deadlines. Commencement information (tickets, cap and gown, time/location, etc.) is posted on the Convocation Center website.